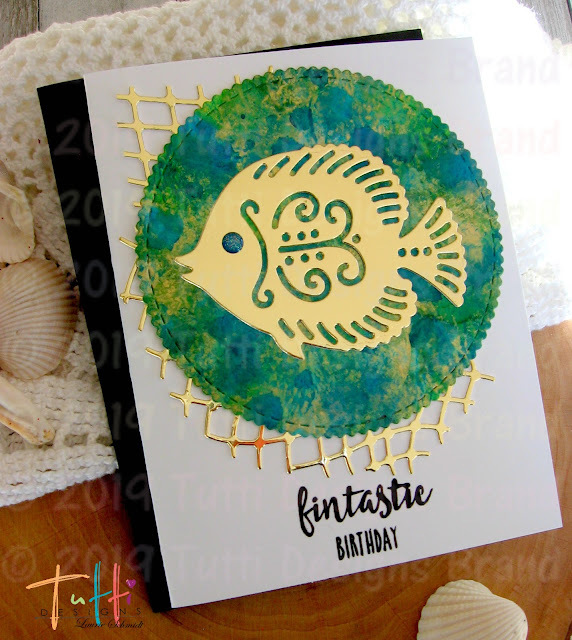 Hi everyone, Laurie here sharing a fun ocean themed Birthday card today. I used a piece of alcohol ink background paper to cut out my scalloped stitched circle. It has lots of green and blue and splashes of gold throughout. 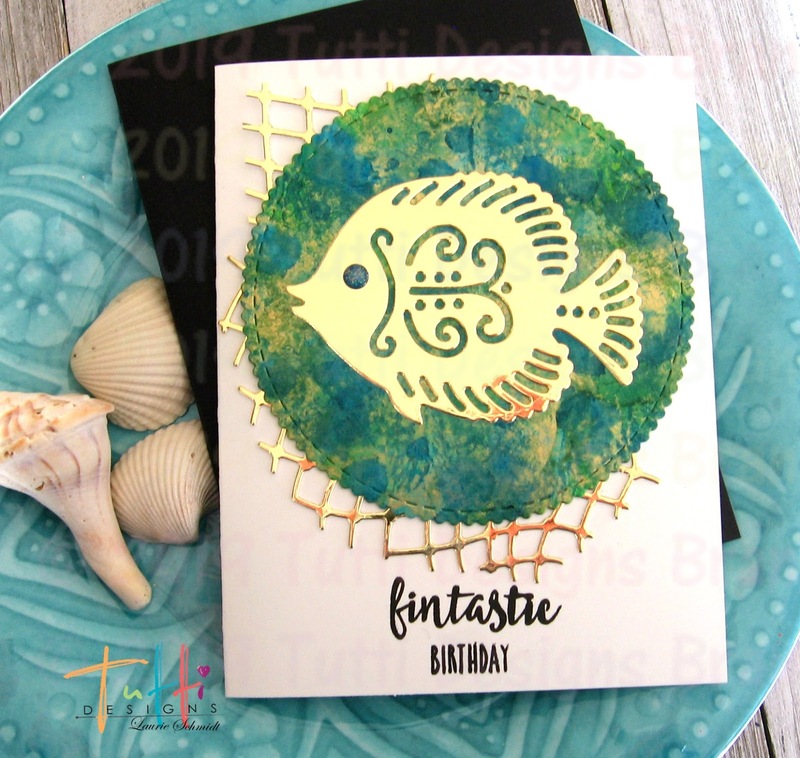 All that was left was to stamp the sentiment,"fintastic birthday."